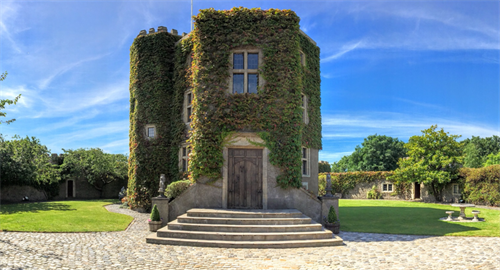 As its name indicates, this is our 2nd largest turret, usually used for dining up to 30 guests or as a bar for larger events. It has been used as a cinema room also and has floor to ceiling glass doors to let in plenty of natural light. It features large exposed beams and stone work. The room also has special air conditioning system to heat, cool and dehumidify.